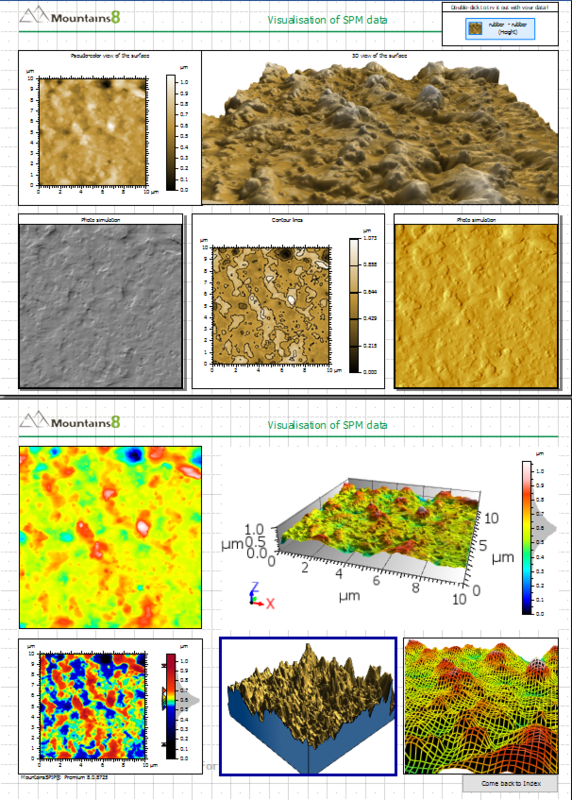 Since SPM specialists Image Metrology and Digital Surf joined forces a few years back, development teams from both companies have been working intensively to create the next generation of SPM image analysis software, based on the industry- standard Mountains® platform and including all the best SPIP™ interactivity and analytical tools. Here we highlight some of the key features which our SPIP™ users will benefit from. When working with MountainsSPIP® it is like working with a document where you can control the exact layout of multiple pages ready to be exported as impressive printed reports. 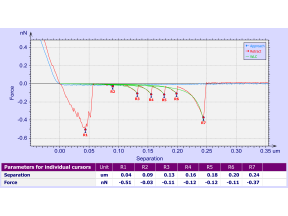 As MountainsSPIP® keeps a track in the workflow of any modification of a processing step, for example change of filter parameters, this change will immediately propagate down to the connected images, charts and numerical results, and the document will be updated accordingly. Therefore, you can easily create a new report with the same layout just by replacing the input image/data. You may even save the report and use it as a template for batch processing and reporting your data files. 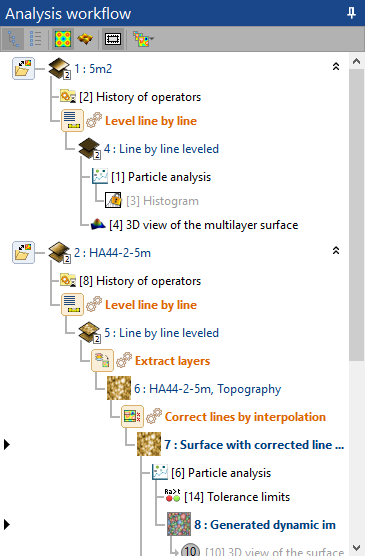 Thanks to its unique analysis workflow (see image below), MountainsSPIP™ makes it easy to keep track of analysis steps already applied to data and instantly revert back to any step in the process. Even better, any step can be edited, resulting in all dependent steps being automatically recalculated. Total traceability: See all the analysis steps already applied to your data and instantly revert back to any step in the process. If you edit any step, all dependent steps are automatically updated. Researchers wishing to explore a sample beyond the limitations of one single instrument technology need look no further than MountainsSPIP 8TM. Whether working with data from 3D optical profilers, AFM, SEM, fluorescence, Raman, IR or other microscopes, users benefit from powerful detection tools which allow them to easily manage data at different scales (see image above).